I can hardly contain my excitement! For the first time, we have public information as to what happens to a corset wearer’s organs through the use of MRI (magnetic resonance imaging). I’ve wanted to do a study like this for years, but time, finances and limited access to imaging facilities prevented me from doing so. Fortunately, German medical doctor and TV sensation Dr. Eckhart von Hirschhausen took it upon himself to study how a corset moves organs in a tightlacer on his October 2nd episode of his gameshow, Hirschhausens Quiz Des Menschen (“Hirschhausen’s Quiz of the Human [body]”). Internationally acclaimed burlesque artist Eden Berlin volunteered to be studied, wearing a specialized tightlacing corset made by Korsettmanufactur TO.mTO. The magnetic pull in an MRI machine is so strong that it is capable of ripping steel out of corsets and through flesh – so Tonia Merz, the corsetiere behind TO.m.O, explained how she used non-metal boning and other non-ferrous hardware in the corset so as not to endanger Eden during imaging. A. 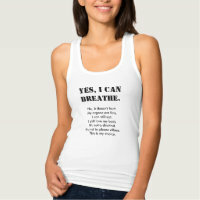 The lungs are compromised, so she has a lack of oxygen. B. The kidneys are compressed, so they are less efficient at filtering. C. The intestine is deformed, so digestion is slowed. Here are two MRI images of Eden, with her uncorseted figure on the left and her corseted figure on the right. This image is behind her peritoneal cavity, showing her kidneys and lungs. Dr. Hirschhausen explains how the lungs and kidneys haven’t moved much between the two images. This screencap now shows the peritoneal cavity. Dr. Eckhart gestures the normal location of the ascending, transverse and descending colon in the left image, and the transverse part of the colon is clearly viewed (where his hand is). Now Dr. Eckhart gestures to the right image and shows how the intestines are flexible. He says that you can see that the transverse colon has shifted so that part of it is above the waistline, and part of it is below. (While it might not have been explicitly mentioned, from the image we also now have confirmation that the liver and stomach move upwards (and the liver remains pretty much in the same shape) and they are not forced down below the waist like some horrendous illustrations once claimed). Therefore, Dr. Eckhart concluded that answer C (the intestine trapped and digestion slowed) was the correct option. As a follow-up to this, an MRI was done on a woman in her third term of pregnancy with the baby already in head-down (vertex) position, to show how the intestines have shifted upward considerably (again, the intestines are designed to be flexible). The baby is obviously highlighted in red. One thing I should point out is that Eden is not a daily waist trainer but rather wears her corsets for her performances. It’s also unknown how much time she was given to lace up and have her body adjust to the tightness before she had the second MRI taken – I know that if I give my body time to adjust while lacing down slowly, I can feel an intestinal shift after 20-30 minutes, and find that the feeling of pressure is reduced and I can lace a little tighter than before. Fran of Contour Corsets proposes that over time, a tightlacer can coax the entire transverse colon to sit below the waistline, away from the line of highest pressure from the corset, which can make digestion much easier. Tonia Merz also confirmed that the corset was made to close at 50cm, and designed to give about a 5 inch reduction. With a 20% change in her waist circumference, this definitely qualifies at tightlacing. If given the opportunity, I would love to repeat this MRI study with different tightlacers to see how the positions of organs change slightly depending on the individual, the silhouette of corset worn, the reduction of the corset, and how long they’ve been training. Huge thanks to Hirschhausens Quiz Des Menschen, Eden Berlin and Tonia Merz for their incredible collaboration and allowing us to finally see where the organs shift when wearing a corset, and especially to Tonia for her translation of the conclusions! EDIT, JANUARY 10, 2015: You can now view the full episode here on Youtube (German, no subtitles). The corset topic begins at 35 minutes in, with the MRI portion around 45 minutes in. Hi Ayelen, corsets are as safe as any other clothing as long as you’re in good health and you use it responsibly, but some people do use it as a form of body modification, so you should be aware of the possible things that can go wrong if you wear one that doesn’t fit properly or it’s not used properly. I talk about the “dangers” of corsets (but also the dangers of carrots) in this article, for context, and you can also read my series on Physical Effects of Corseting. If you have any suspected health issues and/or if you are under the age of 18, then I recommend speaking to your doctor before trying a corset. A. I’m a Steampunk and Historical costume wearer and corsets give me the correct silhouette. C. It’s wonderful support for my bad back. I achieve a 3-5 inch waist reduction without resorting to tight lacing (I’m just squishy). A broken rib prevents anything tighter. I have no problems breathing or digesting. As far as I can tell my internal organs move less than they did when I was pregnant. The only real issues are that when corseted I can’t change my shoes and getting into/riding in/exiting a car probe problematic. Seat belts and hoops are unmixy things. Thank you so much for this wonderful post. I do love it and refer back to it often. I’d like to repost it on my RegencyGirl.com blog but the original video looks to have been removed? I’d love to know where to get a copy? Do you think you’d be able to post it on your youtube channel? It’s SUCH a valuable video to reference. Hi Raven, I didn’t realize that the video was removed again. I wouldn’t post the video on my channel because that might result in a copyright strike (I don’t own the content) but I know that someone else in Germany was planning on posting the video, with English subtitles. I’ll see if that’s still happening. I have been following some videos on YouTube about wearing corsets and came across yours. Thank you so much! I didn’t know that it was recently uploaded – I will update the post right away. Thank you again, and happy new year! 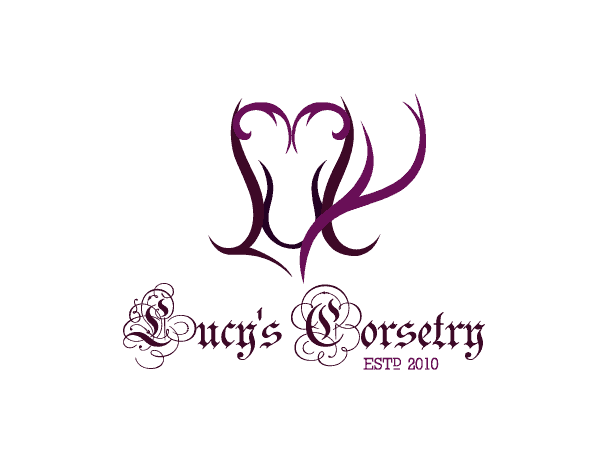 Hello, Lucy and this is very interesting to see and I think I will share this with my friend who has just got into the world of Corsets.This brings me to a question that I hope you can help me with. I started waist training about a month ago and I paired it with aerobics and clean eating because I wanted to loose some weight and it really helped. Recently I discovered your great blog and I finally started to see some results in my silhouette. However, I noticed not both of my sides were equal: one of my oblique muscles curves more than the other slightly but not to dramatic. Because of my budget at the time I bought a really great off the rack corset but next month planing to go custom, the corset it self is very sturdy with no unequal sides or anything of that nature. So I am wondering can it just be my body is not very symmetrical? Such as one of my obliques being stronger than the other? Is it the way I am lacing?Or is there a way to even out my sides? This article is bogus because it doesn’t clarify that it’s only about tightlacing, which does alter the internal organs. In truth, even tight-lacing doesn’t do much harm if it’s only done occasionally. However, as an entertainer I’ve been wearing historical corsets for more than 20 years. I make them myself specifically to my own measurements. They do no harm because I never compress more than four inches, which considering how squishy I am is very little. Instead, my corset is the best support my bad back has ever had. It also encourages me into correct posture. You can not do historical recreation without authentic undergarments and if you’re doing anything from 1500 to the present means some kind of shaping garment. DannyJane, please read the article more carefully. I mention near the end of the article that Eden Berlin is not a waist trainer, but she tightlaces for her occupation – and the experiment had been rushed. I also mentioned that the results may have shown differently depending on the experience level, the reduction, and the individual person. I agree that a well-made, custom fit corset can be more comfortable than even a medical back brace. Watching the segment of the show, it was not an attempt to prove that corsets will kill its wearer, but simply to illuminate what has occurred inside of Eden given the circumstances. One thing that might be worth pointing out though is that if corsetry is actually comparable in terms of physical stress to pregnancy, then that doesn’t exactly translate to ” totally safe”. I mean, pregnancy is still, despite all of modern medicine, quite a stressful physical state. Even uncomplicated pregnancies can cause some really major side-effects. With that said, we should definitely be looking at it with actual, empirical facts rather than cultural hysteria. Fascinating! Thank you for sharing. Finally! Someone shows that pregnancy moves the organs in the same way as a corset. And pregnancy is not demonized by the general public. I love that they did this study. Seeing real medical science that proves what corset wearers have known all along is comforting. Education is the solution. Sure, there will still be anti corset propaganda, but now we have the medical proof. Thank you for this wonderful post, and I will for sure add your blog to my Feedly app. Oh i wonder if the corset maker used carbon fibre boning that i’ve seen recently for sale on a corset making site. It is fascinating to see how the corset does and doesn’t effect the organs within the body. Hi Kristen! Tonia said that she used a heavy duty plastic boning (not the featherweight stuff), it was about half an inch wide, and she said that she used more plastic bones in that corset than she normally would have done for metal. The grommets she used were made of brass (an alloy made from copper and zinc) so if it was a “clean” brass then it should contain no iron, and so wouldn’t be affected by the magnet. The carbon fibre would be another cool option but probably only for the center front, as they have very little flex to them and don’t really come curved for the sides of the waist. Hm, I read Vena Cava’s description, they said that the carbon fibre bones are 24x stiffer than the steel. ah lol…just read it again..yeah not as bendy. DOH! I saw the pic of the two bending and got the two mixed up. But even saying that, they are rather remarkable step away from metal. Oh i wonder if the corset maker used carbon fibre boning that i’ve seen recently for sale on a corset making site. It is fascinating to see how the corset doesnt and doesnt effect the organs within the body. Oh man, actual *science* and corsetry, instead of just hyperbolic freak-outs? Unheard of! Seriously though, this is really interesting and well-written. More, please! Isn’t it fascinating? I hope this opens the doors for the opportunity for more corset-related medical testing – I can see this information being relevant for orthopedic technicians who make medical back braces as well. Sounds interesting I’ve been tight lacing forabout a year now. I’d be interested in looking at how my body has changed. It does seem to aid digeston in my case and I have lost weight since tight lacing. Thanks for th insight though most interesting. Hello Edward! I’m glad that corsets have seemed to help improve your digestion – I have heard this from a few other corset wearers as well; if they had problems with bowel movements in the past, it seems to have gotten easier for them with a corset. Of course, results and experiences vary and some other people do seem to have slower bowel movements, which is why I’m so curious to see what’s happening inside!